Well...this is truly the time to stop and reflect on all the things I have to be thankful for... Here are just a few! 1. A steady income- During this time of economic upheaval, I am so glad that my man has a steady job and a steady paycheck. I know of so many people that the economy is knocking down... I am saddened by this. I am so thankful for Caylor's job and the wonderful company that he works for. 2. My health- I am going for the generic thankful list this week it seems. But I am so glad that I am healthy- as is my family. Even though I sure do complain that this old body of mine doesn't look quite like I would really like it to... I need to stop the madness and just be glad it is fairly health... Maybe if I would go work out it could be really healthy. 3. My Family- Not only do I have a great little family that is my own... I also have a great extended family. I love all of my family so much and can't wait to hang for the holidays with them. 4. Jackson- My sweet little boy Jacks has had some hard times lately and I am so thankful for him and the darling little man that he is. I am so proud of him in the way he just charges into a problem and works it out. I am so excited about of all the great things he is doing right now and all the positive changes going on. He is the best! 5. THANKSGIVING- Need I say more? Pie, Family, Fun! I love to be with my family and just "BE". Thanksgiving is my fav because it is just mellow and fun. We are going to be at a cabin... not the whole fam dam... just a small gathering of goofs. I am really excited to head South to meet my new little Briggs. I know he has been missin' me... I have been missin' him for sure! 6. My friend, Tonia- Tonia is totally bailing me out today... I have a huge dilemma in the shape of a Christmas Tree that she is going to help me tame. I have been so busy this week I haven't gotten a chance to do it and she is coming to aid and assist. YEAH! It pays to have the ultimate decorating friend feel sorry for you. There are many more things I am Thankful for... tonight I am just too tired to write more down. 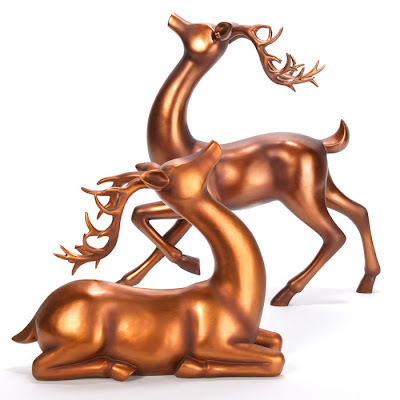 Let The Reindeer Games Begin... Tonight my Christmas tree is half way up ( not decorataed...just up)... the lights are working... and I found my newest set of reindeer at Z Gallerie. Yeah... they are copper! Am I ready for this? It seems like I was just putting my Halloween decor out and now I am decking the halls? Two years ago I got a new 12' Christmas Tree and I LOVE it. I love it when my kids go to bed and I can just sit and watch the lights. I set the tree light timer to go on the same time my alarm goes off so I can walk into a lit tree. That sounds so dumb... but I just love the lights. I am excited for the Holidays this year. Although there is a recession going on and I am NOT made of money.. I want to make Christmas really great this year. One thing that my mom, VIV, does is... she wraps a beautiful gift for us to unwrap on Thanksgiving night. It is some great Christmas Decoration that we can enjoy the whole season. It is a fun tradition and I think of it often during the Holidays. I usually take a sharpie and on the bottom write what year I got it and who gave it to me. While I decorate I remember where and when I got each decoration and I am so grateful for all the people in my life. Maybe that is something you could start in your own family. The decoration doesn't have to be expensive, just something to kick the season off....wrapped beautifully, of course! What are some of your special traditions that help make the SEASON bright? Here they are... The first available photos of Baby Briggs! So Cute! Big Brother Jace and little brother, "Hot Dog, Hot Dog, Hot Diggity Dog". The Whole Family! Dr.- Briggs, Brandy, Jace, & Ryan... Brandy and her KIDS! Yikes! Briggs is so little.. I am sure Jace will smash him with kisses! Here is your chance to attend THE holiday boutique to end all holiday boutiques! 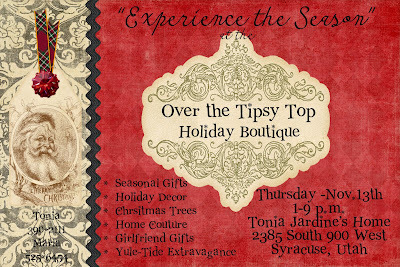 The creative girls at Over the Tipsy Top Design are hosting a holiday show this Thursday! I am also taking some stars, aprons, etc. I was over there today and am absolutely GOBSMACKED at the amazing things they have. All I can say is I have known Tonia for a long time and have seen alot of her fabulousness before...so it is hard for her to really blow me away. Today... I was blown away and it was not even done yet. If you live ANYWHERE along the Wasatch Front... you NEED To schedule a time to head to this show. You have all seen her house in party photos & loved it! It is worth the drive just to see it all done up for Christmas. You will be in AWE! Tonia and Marla are two talented little Divas that know how to go over the Tipsy Top for the Holidays! You owe it to yourself at the beginning of the holidays to get some of their amazing creations and start the season off right. You WON'T be disappointed! For those of you that can't hop a plane to be here... leave them a comment and tell them to have an online boutique... like their own little private ETSY or something. Finally 36 weeks and the baby boy is here! Yeah! Saturday my little sister, Brandy had her baby. The doctor said she could go off her medication on Saturday because she would be 36 weeks... she didn't take the last dose on Friday... went out on a date ( first time in a restaurant in 7 weeks) had contractions went to the hospital and had a baby by 9:00 Saturday morning. Easy Breezy. The baby weighed 5 lbs 3 oz and was 17 inches long...TINY! They went home from the hospital Sunday night. All is well that ends well. I just don't think she is going to have ANY more kids. His big brother wanted to name him "Hot Dog, Hot Dog, Hot Diggity Dog" , but they decided on the 2nd choice of Briggs. So Baby Briggs is home and doing well. I am sure he will have some more surviving to do with his older brother, Jace. I told Brandy to practice the 4 words I said constantly when Jacks was born..."GET OFF YOUR BROTHER" I will post a photo later. I am so glad that she was able to wait and that he was born healthy. One thing is for sure.. she sure isn't going to want to have a long re-coop time. She has had it with bed rest. She can't wait to clean and work and decorate... she won't take the baby anywhere for a while- but is way to ready to get up and go. I am dying to get down there and see the little man- he is so dang cute. Yeah! 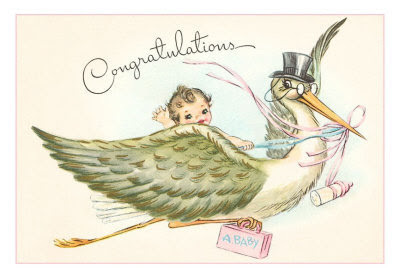 Congrats to Brandy and Ryan and Jace on their new little boy! My friend, Suzanne and her sister have started a business designed to bring the bling to all little girls. 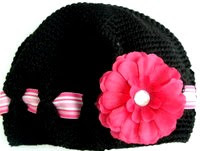 They have the greatest hair accessories and darling beanies. I got a few for Meg and she looks so dang cute in them... Who needs to comb hair anymore? 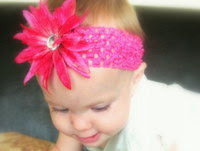 They also have great headbands and accessories for babies. We are loving the different flowers and ribbon combos! Just click here to go to their web-page. So cute..so affordable...so great for fall & winter. P.S. I know Mindi just did this same shout out...but I told Suzanne I would do one too. I know I am a super copy cat! I think Thanksgiving is my very favorite holiday and I don't even like mashed potatoes. I love it because there is no hype and no let-down...just great food, family and fun. Those are some of my most important priorities. It is just good to stop the craziness of life, reflect on things to be thankful for, eat some yummy pie, and hang out with family. In my family, while the boys are watching football...we girls are in the kitchen. The kitchen is actually where all the action is... can you imagine Viv, my two crazy sisters, my funny cousins, and my Gram all in one central location. GOOD TIMES! Is there a better occasion for a fabulous apron? I think not! I made this little number for Jackson's tutor, Judy. She loves aprons and we love her so..... it is a perfect match. I found some cute fall fabric, added a little ric-rac and...TADA... a sassy apron made for the Thanksgiving hostess with the mostess. I also made some rubber dish washing gloves for her so she can be a Glam Gram. I am a huge fan AND copy cat of Sherry over at creations from the heart. She is so talented and I saw the body displaying aprons on her blog and I just HAD to copy. So... here is a shout out to her...she is amazing! Thanks to my Grandma Bette for my new body. So for all you Thanksgivingers out there... create an apron for your cooking crew this year. How fun to have matching aprons with your daughters, moms, and even grandmas. If you don't sew...just find a craft apron and embellish it. Add some ribbon, gems, fabric, etc. What a fun memory AND you will all look so cute in the annual Thanksgiving day photo! WoW! I have ALOT to be Thankful for this week... Here are just a few! 2. Meggie is wearing boots. I know this sounds like a really stupid thing, but the battles have reduced quite a bit this week. Thank goodness the weather changed and her feet got too cold wearing flip-flops. She has hated shoes forever... she doesn't like ANYTHING on the back of her foot. Flip-flops rule then we wean into boots and then some winters we can even get a ballet flat on by about Thanksgiving...we'll see. 3. The weather is turning cold...YEAH! 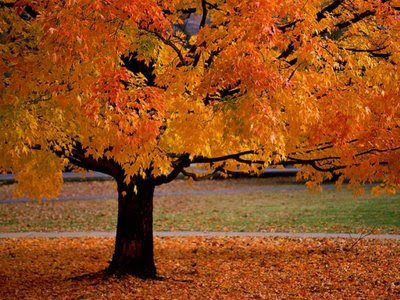 While in St. George last, I keep saying I needed to get back to where the leaves are red and the air is brisk...San Jorge just doesn't do it for me this time of year. We'll talk again in March. 4. I know I say it almost every Thursday, but I am so glad to be a blogger. 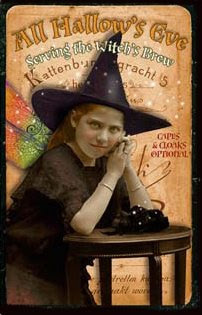 I chatted with the cutest blogging friend, Sherry, on the phone. She has the blog Creations from my heart... and she is AMAZING! I got a really great pattern from her and emailed her a question and she called me back! Can you believe it? She is so cute and creative and soooooo super nice. This little blogosphere has just opened all sorts of new friendships. 5. Christmas Music- Yesterday I was making aprons and I was rockin' out to Kenny G... Nice easy listening Christmas music.. I figure after Halloween the Christmas music is fair game. I can only listen to it by myself until about Dec. 5th. My man can handle it for only so long. 8. Thanks to the 4 or 5 of you that read this little rambling & stoke my ego I appreciate your comments and friendships! Cue the Lee Greenwood song... I rocked the vote! Cue the Lee Greenwood song..." I am proud to be an American" because today I was a responsible citizen and VOTED! My man even voted early, due to another obligation today. As I was watching the Today Show this morning... I got a bit emotional as I watched Barack Obama, Joe Biden, and John McCain all cast their vote. It is an amazing thing! I am a History Major (AKA history NERD) and I have the utmost respect for all the people in our own history that have sacrificed and even died for the opportunity to vote- not to mention those people in other countries that would love to have a say in their government. 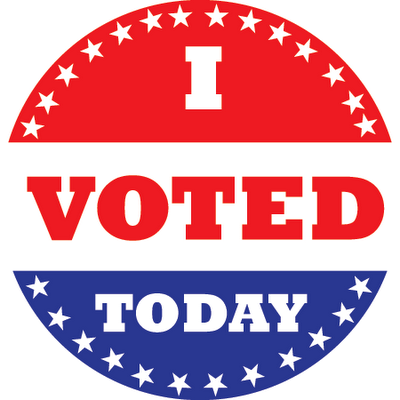 I am proud to wear my little " I VOTED" sticker today. So... if you are reading this and haven't voted yet...DO IT! I am happy to be a part of history being made today... either way- Obama= first African American or Sarah Palin= first woman V.P. It is a win/win situation. Meggie the Kitty... No matter what anybody says... this is the ONLY cat I will EVER have at my house! A photo of Jackson dressed up? No! Only what is important! Jacks couldn't wait to organize and categorize his stash for the blog. He even took the photo. Proof that he is the all time best Trick or Treater! We are taking the idea of displaying the goods from Christmas morning to displaying the goods on Halloween. Meg loved Halloween! She was a sassy little kitty! We trick or treated... had some good food and has a fabulous Oct. 31! Ahhhh... the fun, the excitement, the cavities! Call Dr. Jason- we are all on our way! Our really great jack-o-lanterns... carved "Old School" without any of these new fandangeled patterns and kits. So great! We have all had a Halloween Hangover! Meg wasn't afraid on or before Halloween, but now we're having residual nightmares. Jacks has already had a tooth ache, and Mitch has already stolen half of the little kids candy ( because he was too old to trick or treat). Ahhh... the memories!